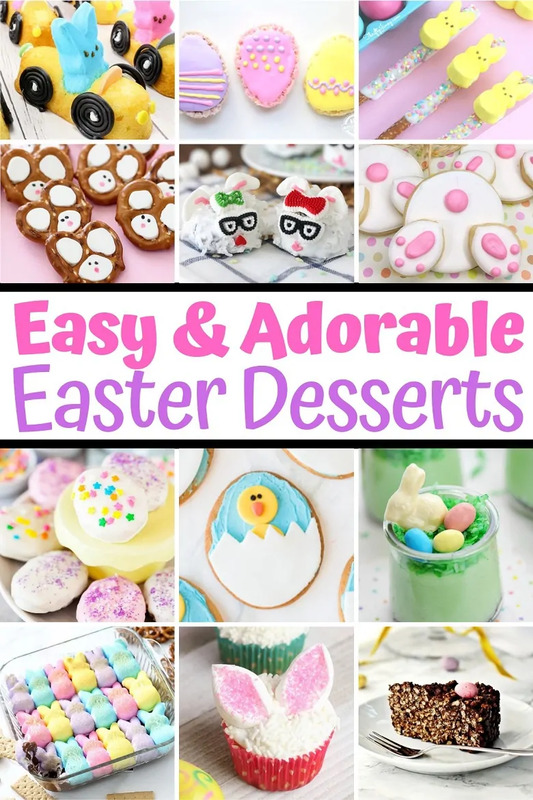 Over 30 adorable and easy Easter desserts for kids. These cute Easter dessert recipes include cupcakes, cookies, cakes, brownies, and more. There is so much to love about Easter desserts. They are typically bright and colorful, and of course sweet. I am always on the lookout for new Easter dessert ideas. So with Easter coming up, I decided to gather up all the best Easter dessert recipes and list them for you (and for myself!) in this post. These Easter desserts all have 2 things in common: They are easy to make, and great for kids. But don't get me wrong — adults will love these easy Easter desserts too. You don't need to be a child to love fun Easter goodies. Many of these recipes are kid-friendly too. So bring the kids into the kitchen and have them join in and help prepare them. Cooking with the kids in the kitchen is such a great way to make memories that will last a lifetime. 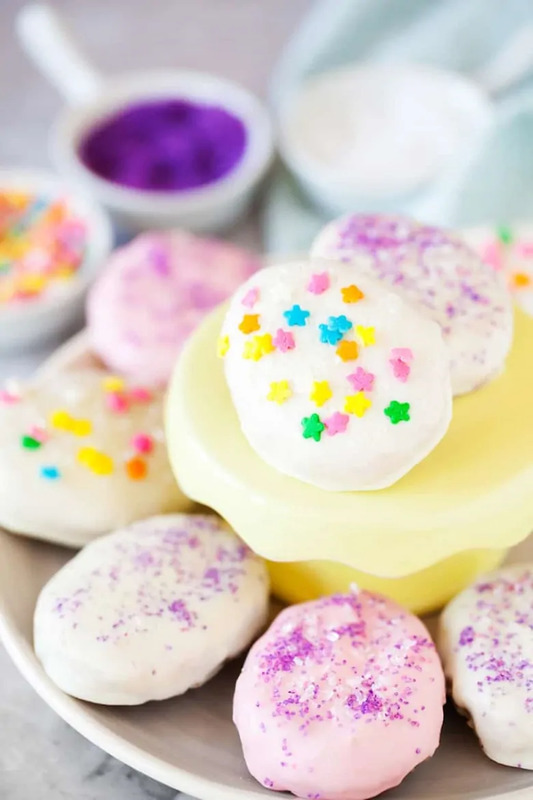 Below you will find over 30 cute and easy-to-make Easter desserts for kids. They don't call for a ton of ingredients, and many are even no-bake recipes as well. 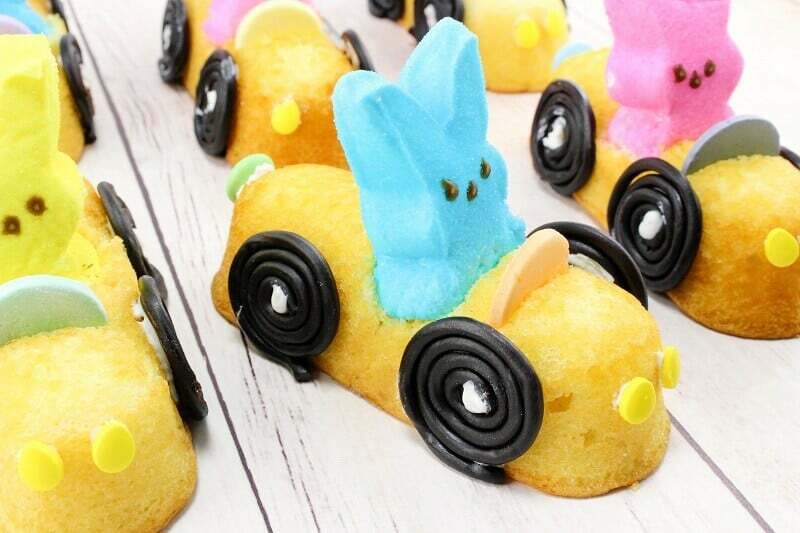 No list of Easter desserts would be complete without a few Peeps treats. And it doesn't get much cuter than these Peeps Bunny Mobiles. Made using Twinkies, Peeps, licorice, Necco wafers, M&Ms and sprinkles, they are more of a fun food craft than an actual recipe. 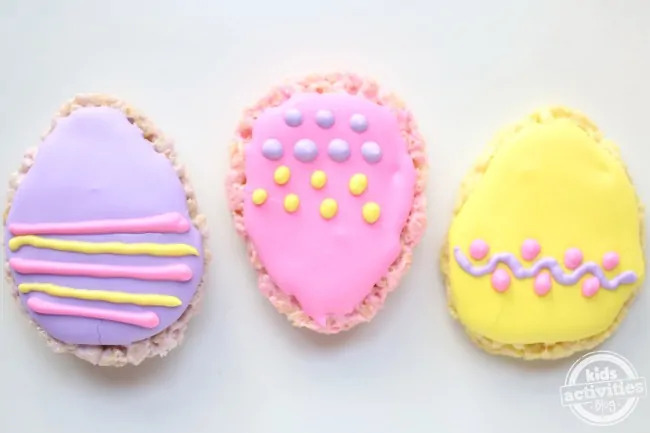 With no actual cooking or baking necessary — aside from microwaving candy melts — these are one of my favorite no-bake Easter desserts. Turn a batch of classic Rice Krispies Treats into colorful Easter eggs with this easy Easter recipe. Have the kids decorate their own Easter Egg Treats for even more fun! 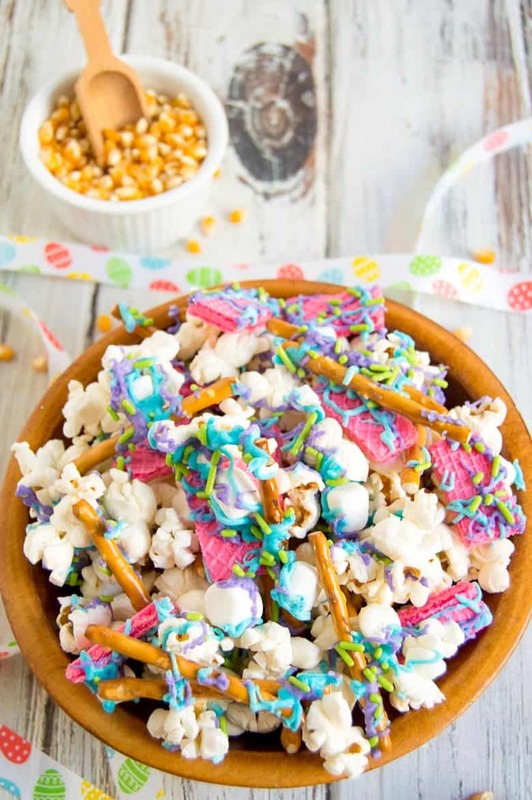 Kids and adults alike will love this this “bunny bait” popcorn snack mix. It’s loaded with bright spring colors and is the perfect combination of sweet and salty. If you would prefer a snack mix made without popcorn, try this tasty puppy chow version. Don't forget to leave some out for the Easter Bunny! 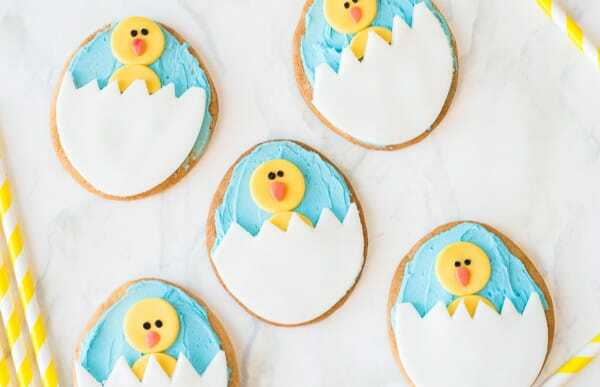 These may just be the most adorable Easter cookie for kids. EVER! 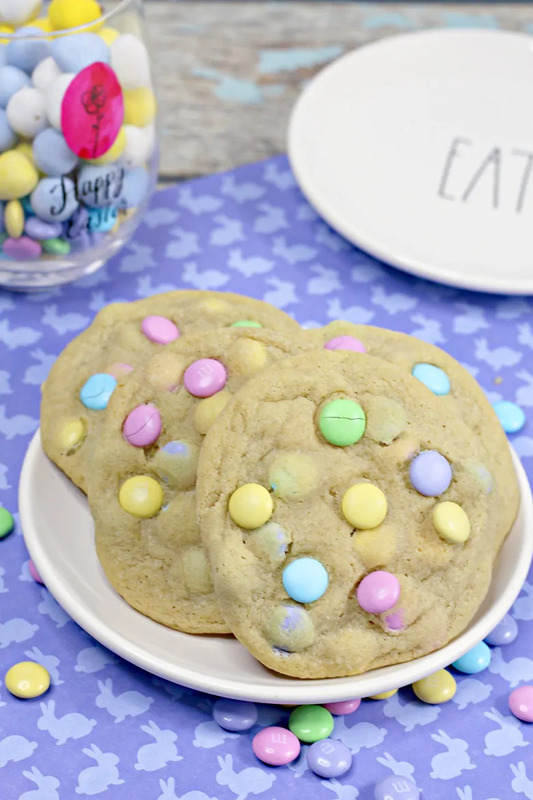 This easy recipe will show you, step-by-step, how to transform store bought sugar cookie dough into these cute Easter chick cookies. Kids love Jello. It is colorful, jiggly, and tastes yummy. 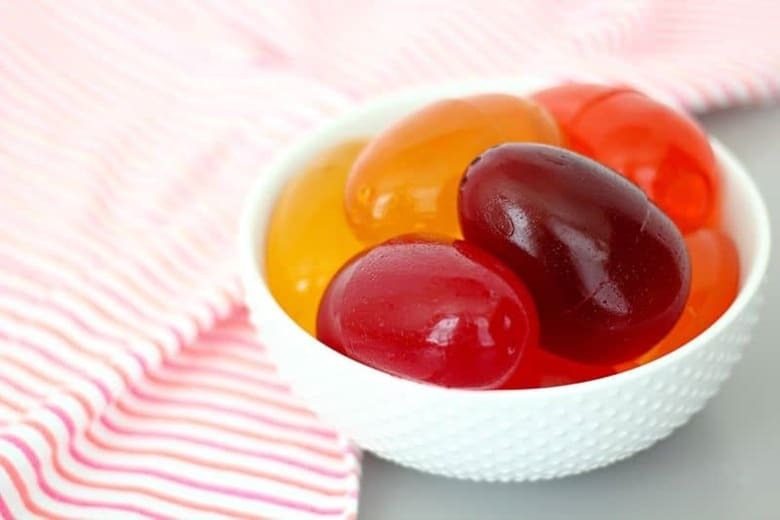 These bright and colorful Jello eggs are going to be loved by all the littles at your Easter celebration. No egg mold? No problem! The recipe also shows you how to make your own egg mold step by step. These bunny pretzels aren't simply easy — they are SUPER EASY. And super cute, too. Plus, they have that salty sweet combo that everyone loves. I can assure you that the kids and adults will be coming back for seconds once they get a hold of these sweet Easter treats. This beautiful cross between rice crispy treat and cake will be the star of your dessert spread on Easter Sunday. 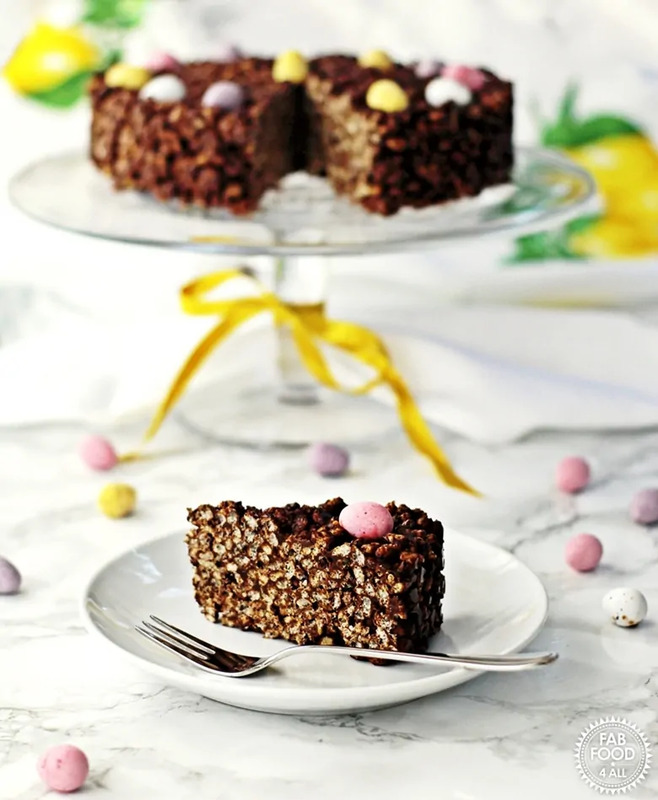 Plus, this Easter cake is no-bake and easy to make as well! 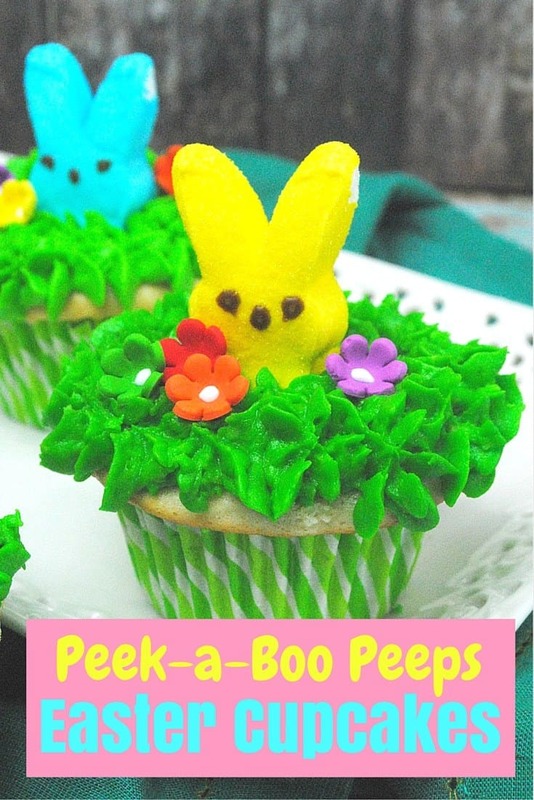 How stinkin' cute are these vanilla cupcakes with colorful Peeps bunnies popping out like they are playing peek-a-boo? These cupcakes have been a reader favorite here at Crayons & Cravings for years. You can make the cupcakes from scratch, or use a box mix for a short cut. Then it is as simple as decorating your cupcakes with green frosting, candy flowers, and of course Peeps! Chocolate covered OREO cookies have always been a favorite of mine. SO GOOD. These chocolate covered OREOs are cleverly transformed into Easter Eggs with a little bit of decorating. 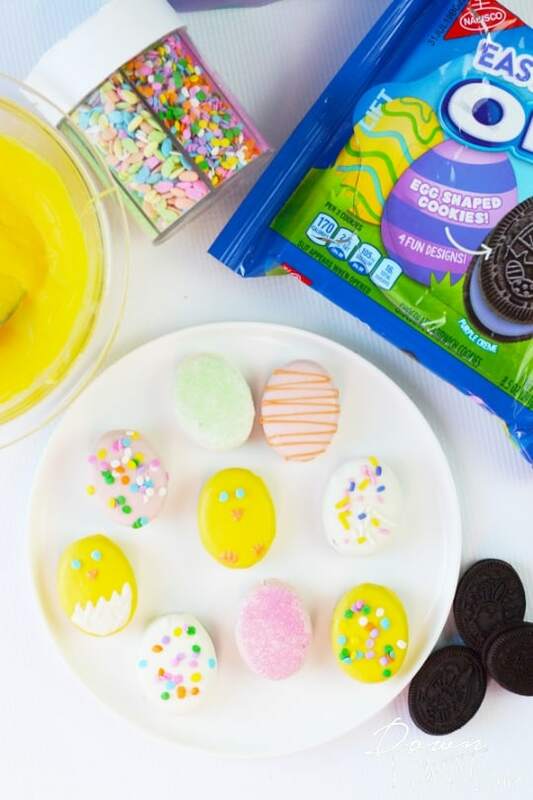 How fun would it be to make a tray and let the kids decorate their Easter Egg OREO cookies themselves? 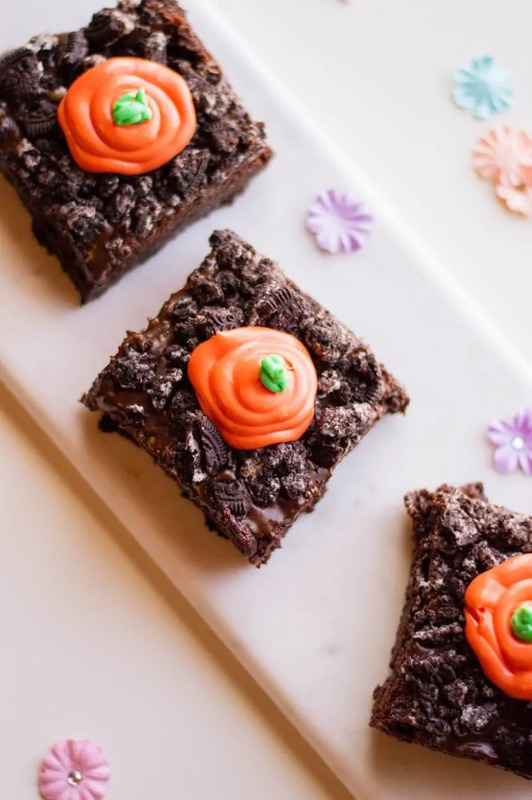 Carrot Patch Brownies are a chocolatey and delicious Easter treat. 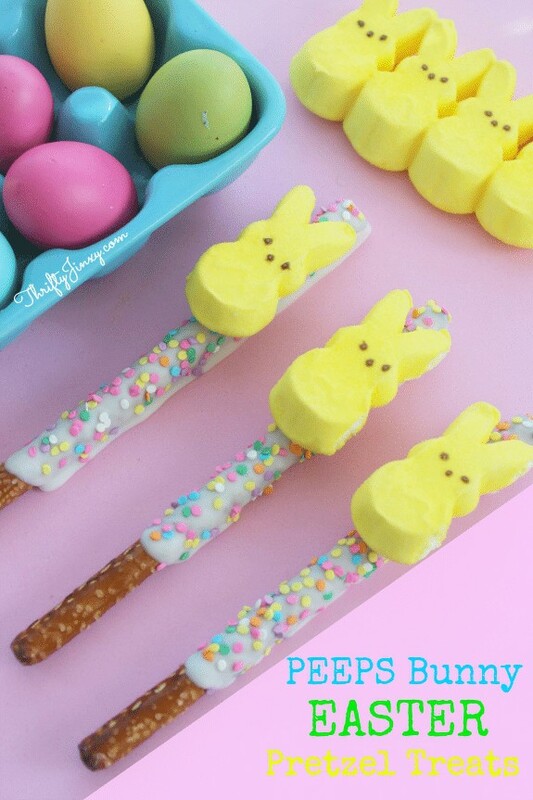 They are perfect to make for dessert on Easter, or for any Spring gathering. Instead of making the brownies from scratch as the recipe is written, you can easily use a store bought brownie mix instead to make the recipe even easier. 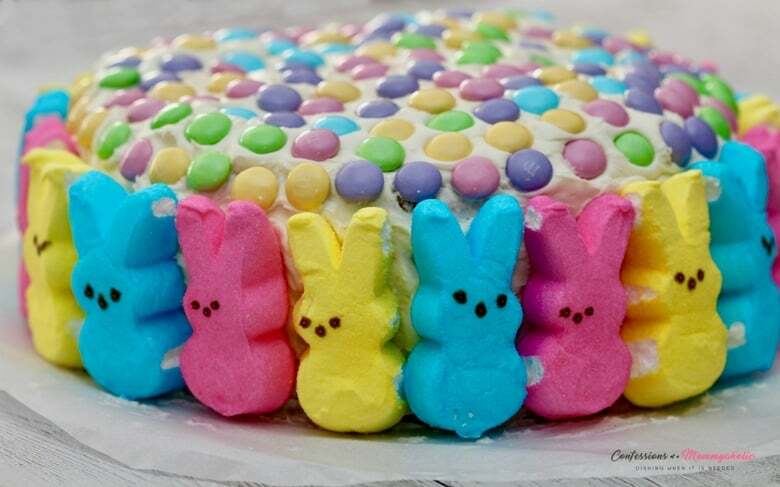 I love how bright and colorful this Peeps cake is — totally perfect for Easter. Plus with only 4 ingredients, it is truly simple to max. This cake is an example of how a little bit of decorating can transform a regular cake to a festive Easter cake in no time. 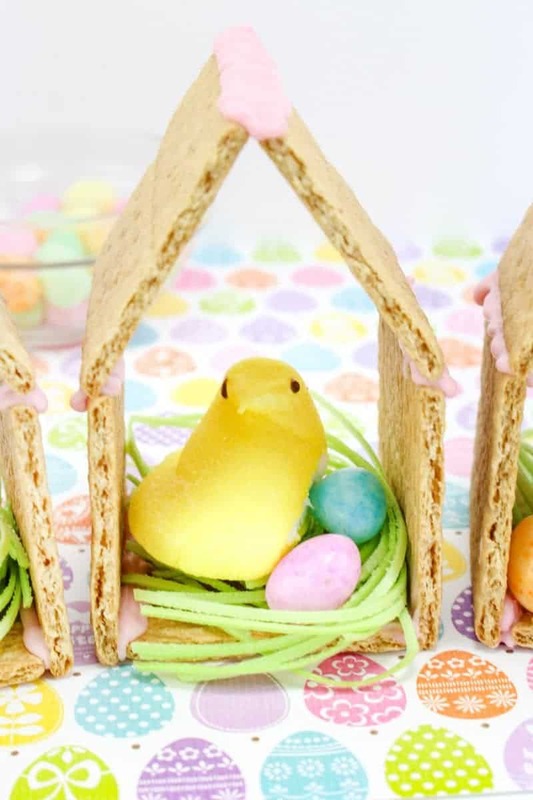 Peeps chicks houses are another easy no-bake Easter treat idea. 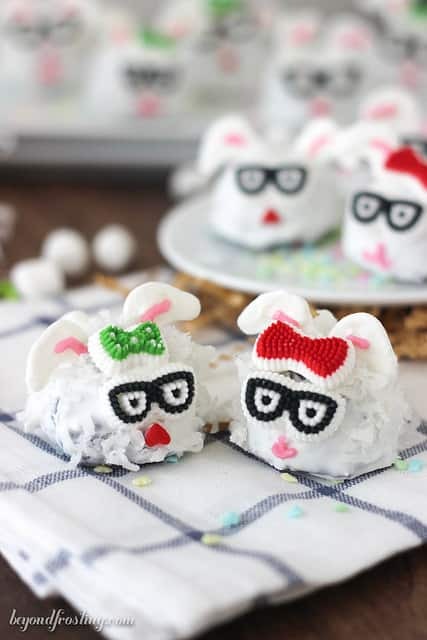 Made using Peeps Chicks, graham crackers, egg candies, and edible grass, this cute Easter desserts are perfect to make with the little ones. I can't wait to make these super cute Easter bunny brownie truffles. They are the kind of Easter dessert that is perfect to make for the kids at your Easter party. These Easter brownies are decorated to look like adorable fluffy bunny rabbits — how cute! While not actually a recipe at all, this Easter treat is essentially a craft. 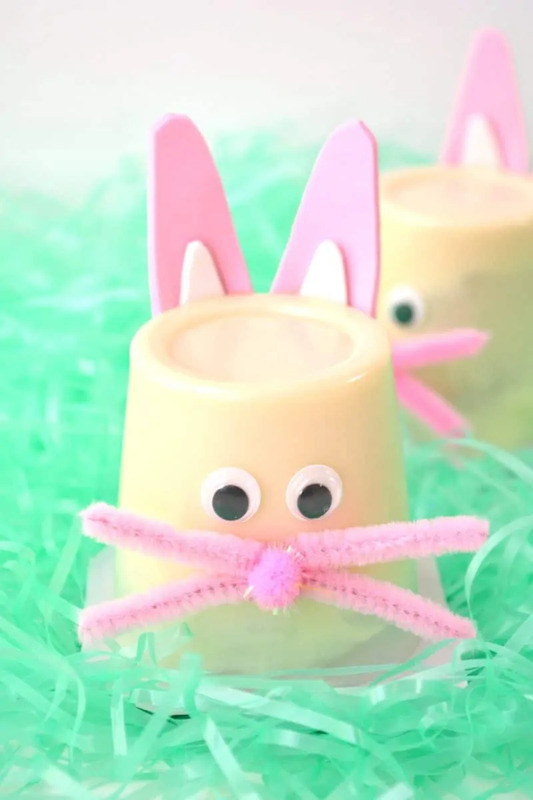 Made using store-bought pudding cups, these Easter pudding cups are a fun Easter craft to make with the kids. You could even make them to hand out in the classroom or to line up on the dessert table at your Easter party. Bark doesn't have to be reserved for Christmas. 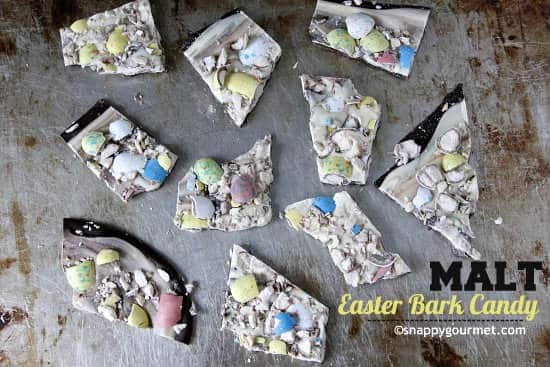 This delicious bark recipe combines two kinds of chocolate and malt Robin Eggs for a treat that any chocolate-lover will approve of. And with only 3 ingredients, it really doesn't get any simpler! 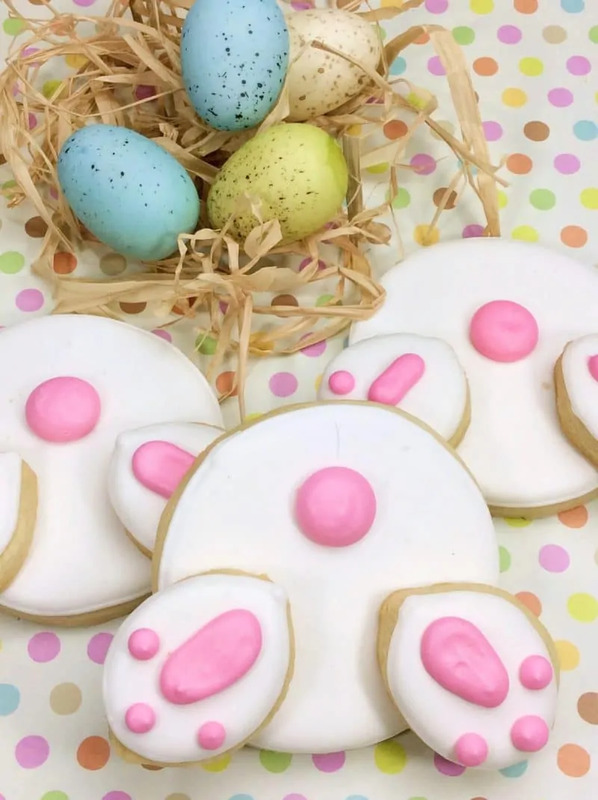 Adorable iced sugar cookies that are made to look like a bunny' behind! 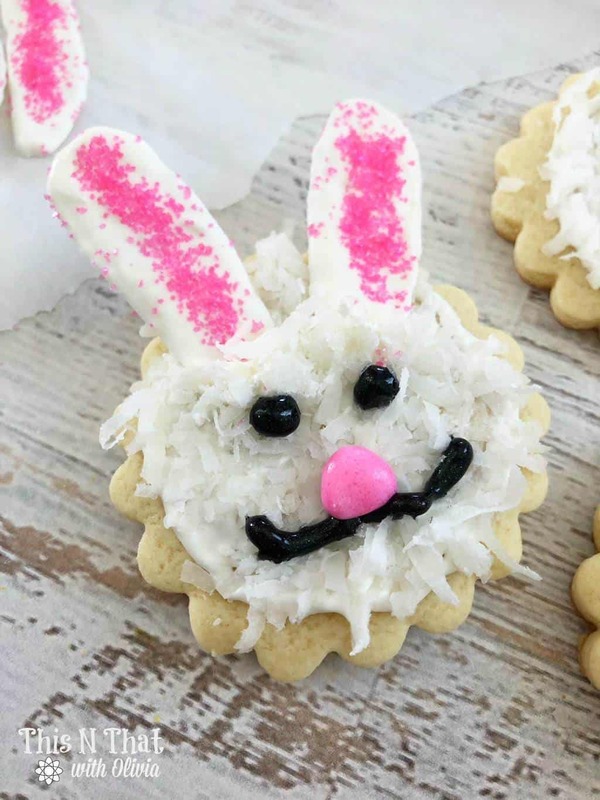 Make these fun Easter cookies using store bought sugar cookie dough to save some time and make the recipe easy peasy. You can even find pre-made royal icing in more grocery stores as well. Gotta love a good shortcut! 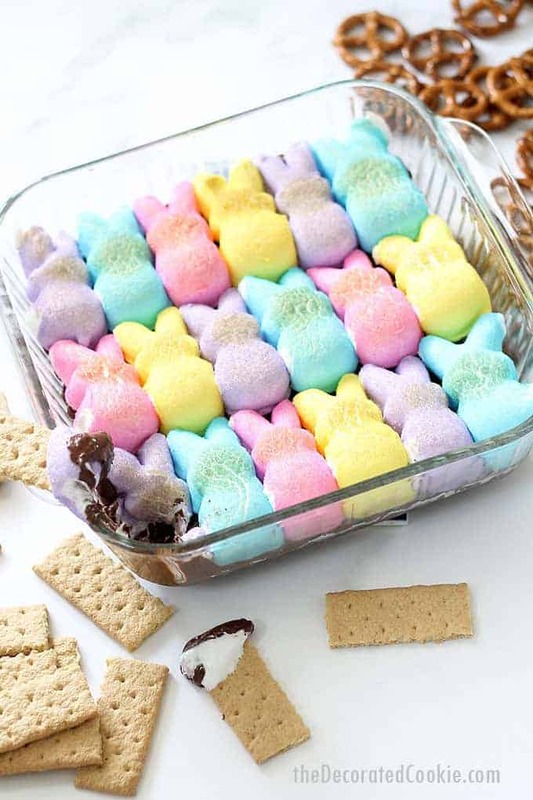 Dessert dips are always a hit at parties, and this Peeps bunny dip will be no exception. With just 2 ingredients, it doesn't get much easier than this Peeps s'more dip! Oh my goodness, those little bunny faces are almost too cute. 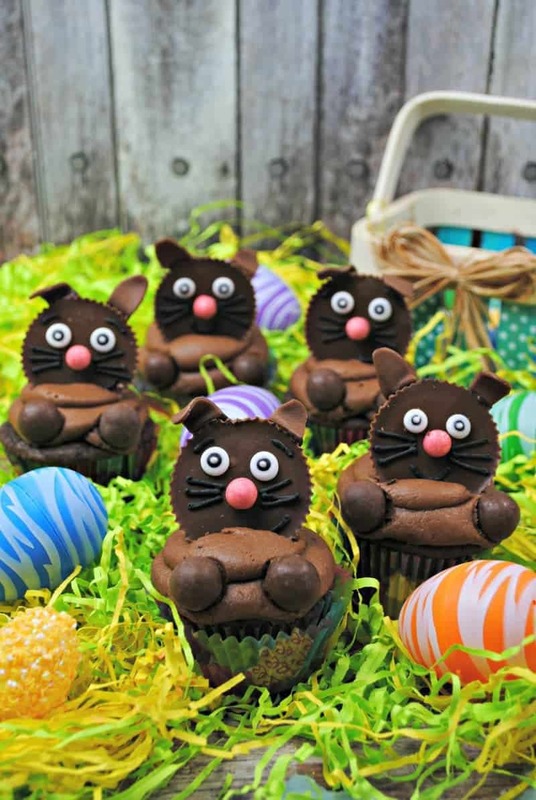 These fun Easter bunny cupcakes are one of the first Easter recipes I shared on this blog, and they have since been a hit with readers each year when Easter rolls around. Use a boxed chocolate cake mix and store bought icing to make this Easter cupcake recipe sure simple. Gotta love a good shortcut! 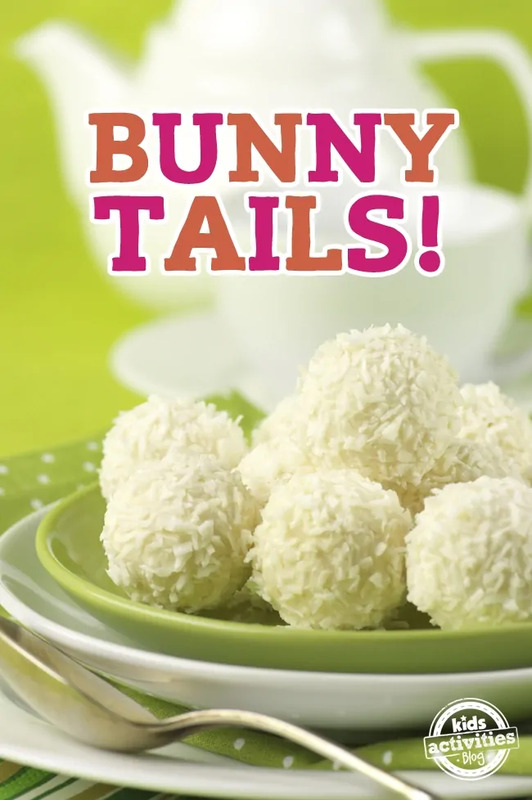 These fudgy lemon coconut flavored treats are designed to look like bunny rabbit tails. SO CLEVER! This kid-friendly bunny tails recipe will get the kids involved in the kitchen making these tasty treats. 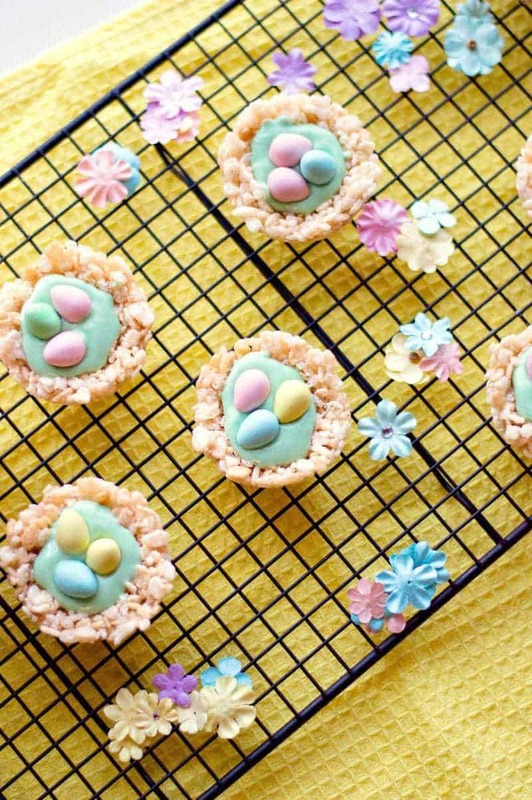 Easy no-bake Rice Krispies birds nests make a perfect Easter dessert. And you can't deny how super adorable they are! We filled our birds nests with melted white chocolate, but you could also fill them with green icing like Almost Supermom does here. 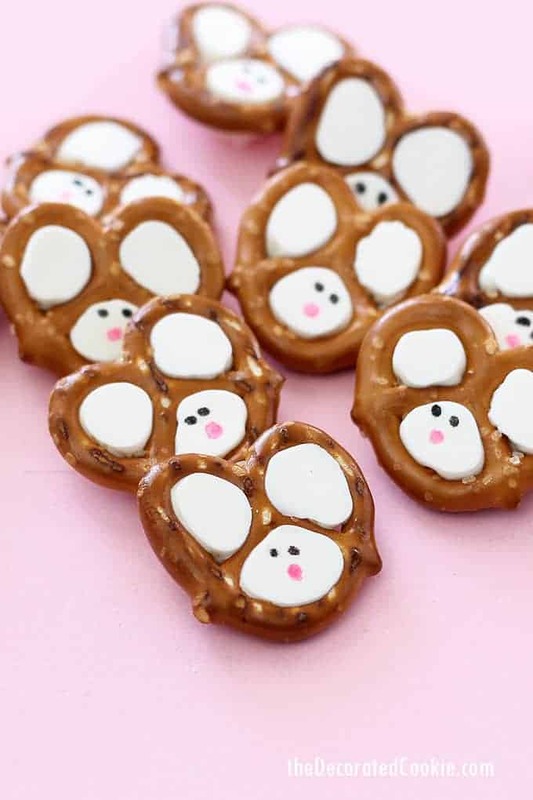 These chocolate covered pretzels are topped with Peeps bunnies for a truly adorable Easter treat. And you can't beat how easy this Easter treat is to make — no oven required. 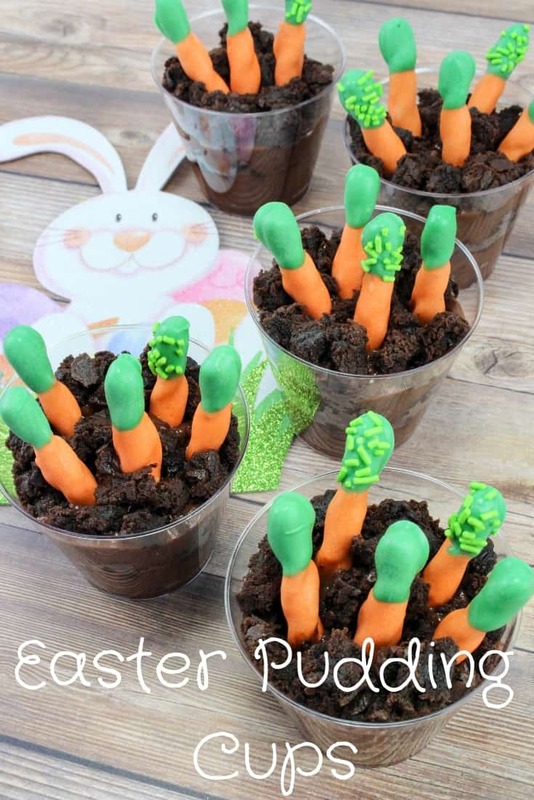 With little “carrots” poking out of the top, the children will get a kick out of these chocolate pudding cups. And you will love how easy they are to make, with no baking required. Everyone will love these sweet bunny ear cupcakes. Made using store bought cake mix and icing, they are nice and easy to make. They key is the decorating, which only requires 3 ingredients! The combination of milk chocolate M&Ms and chewy cookies is hard to resist. You can choose to make these jumbo cookies from scratch using the recipe provided or use premade sugar cookie dough as a shortcut. 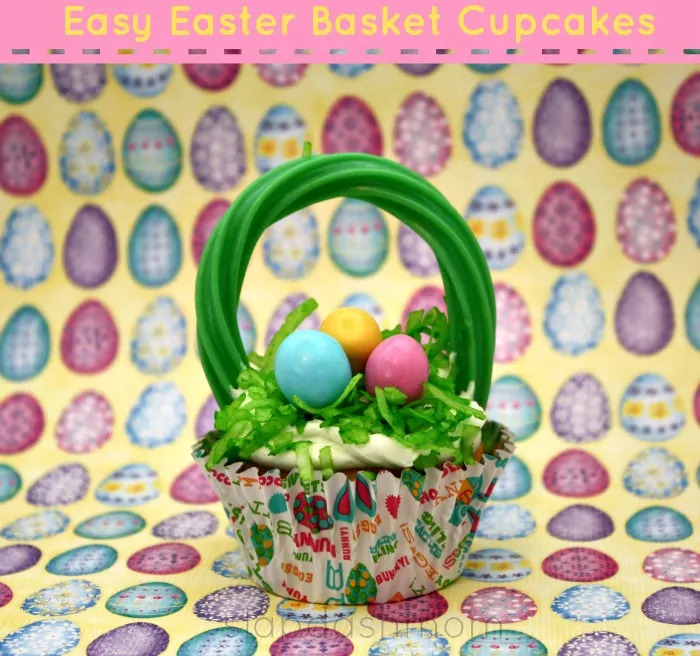 These Easter Basket cupcakes are another great example of how a little bit of decorating and transform a cupcake into a festive holiday dessert. I am actually thinking of making these cute Easter basket cupcakes for my family this year — they are so cute that I can't resist! 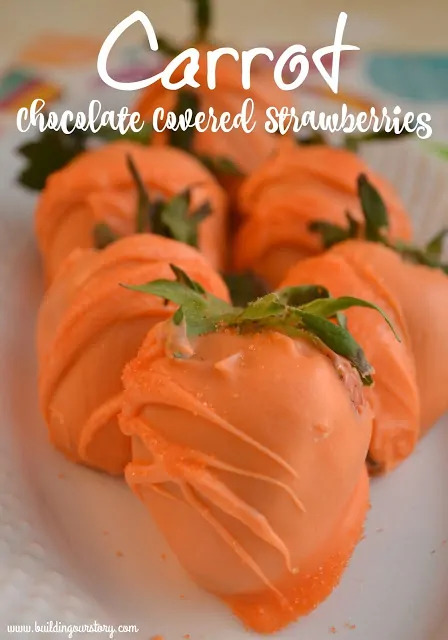 If you are looking for an Easter treat that is a bit more nutritious, you should consider making these chocolate covered strawberries. These berries are transformed into adorable little carrots by dipping them in orange chocolate. This is the kind of Easter dessert that the adults will love as much as the little ones — I mean who doesn't love chocolate covered strawberries? 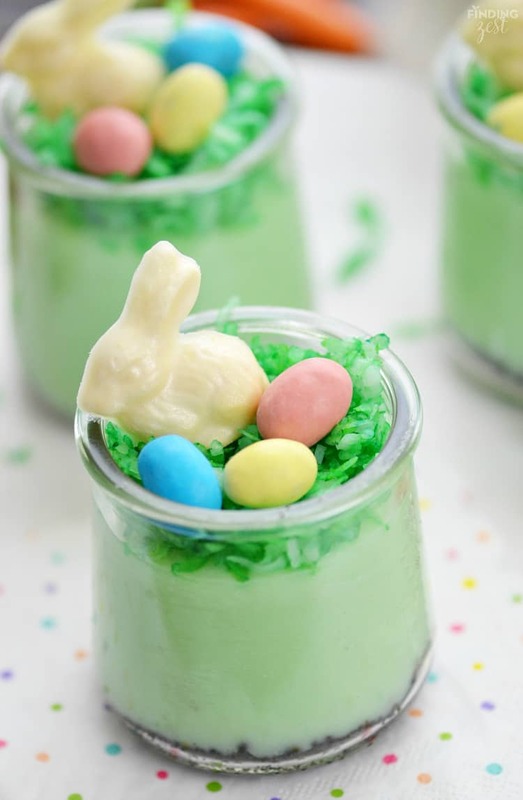 How cute are these little pudding parfait Easter desserts? They are simply precious! 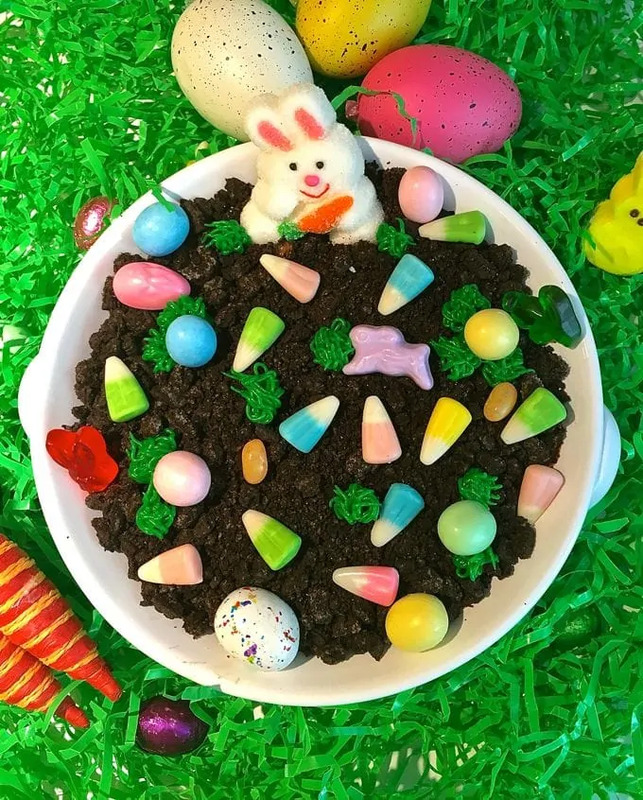 This no bake Easter dessert will be raved about by the kids and grown-ups on Easter. Who can resist that cute bunny face? This recipe is pretty kid-friendly as well. The kids can help use cookie cutters to cut the sugar cookies out of the dough. Then after they are baked, they can help decorate their cookies as well. 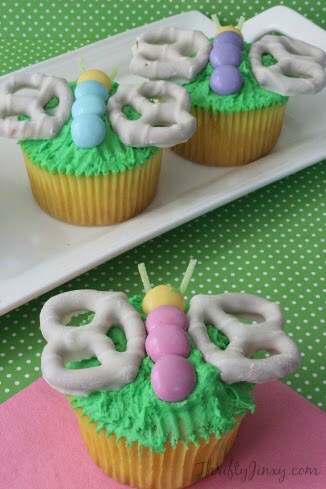 As someone who has a thing for butterflies, I knew that I have to include these pretty butterfly cupcakes in my list of the best Easter desserts. These cute butterfly cupcakes are yet another great example how with a little bit of decorating, plain ‘ol cupcakes can be transformed into festive holiday desserts. This no-bake cheesecake dip is easy to make, and great for the kids on Easter. The kids will love dipping graham crackers or cookies into this fun and festive Easter dip. Another cheesecake flavored goodie for all my cheesecake-lovers out there. These tasty and beautiful Easter egg cheesecake desserts will look great on your dessert table this Easter. Turn a box mix cake into an adorable Easter bunny cake with this easy recipe. 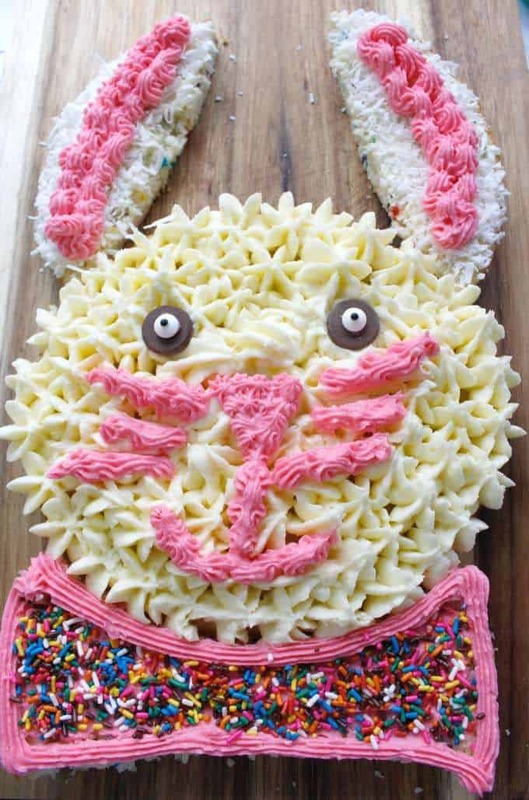 The kids will love helping to decorate their Easter bunny cake. 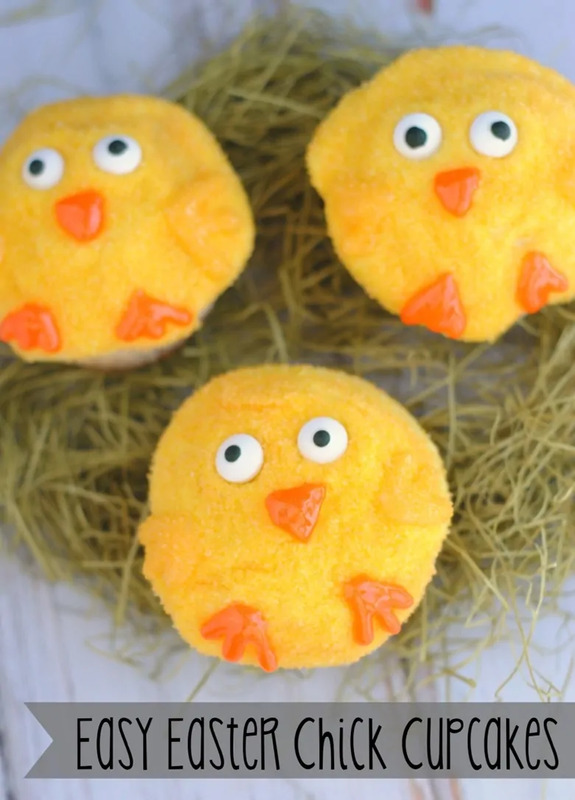 No one at your Easter party will be able to resist these cute little chick faces. 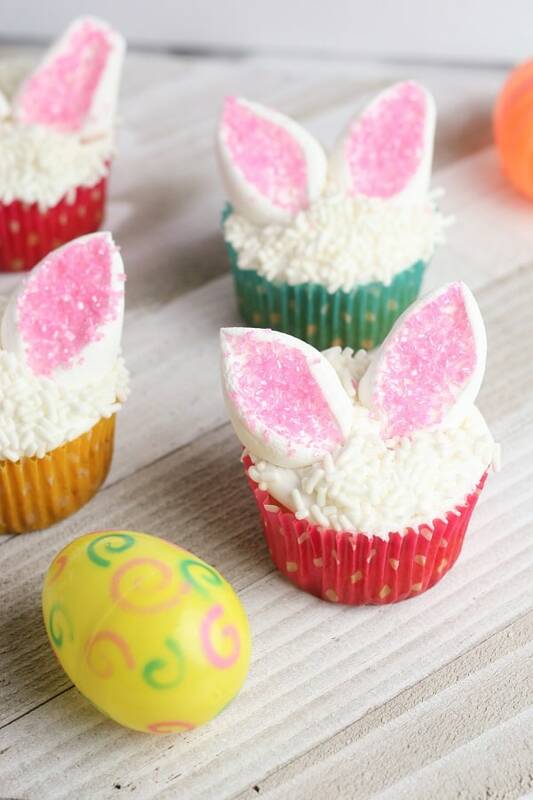 These easy Easter cupcakes for kids are made using boxed mix and packaged frosting. Then, they are decorated to look like little chicks with just a few common ingredients. Yes, another rice treat Easter idea… but this time topped with Peeps chicks! So fun! This Peeps-pack trail mix is perfect for Easter. With only 5-ingredients, it is nice and easy to make as well. 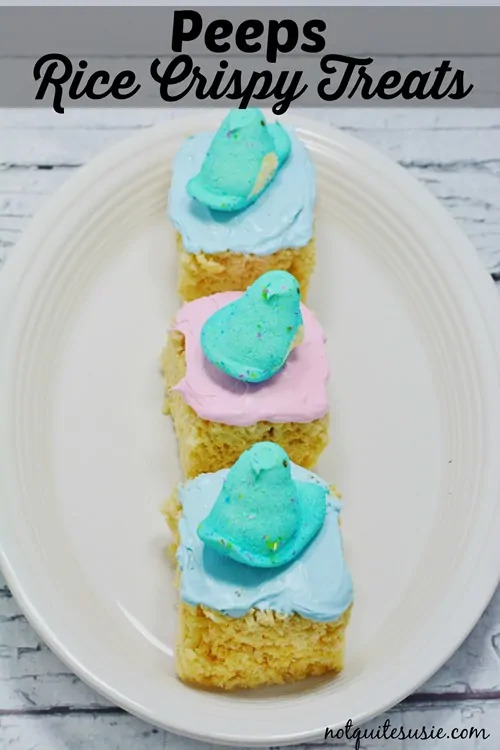 I have another easy Easter dessert idea made using Rice Krispies for you. These colorful Easter eggs can be filled with jelly beans or other candies as a fun surprise that the kids will get a rick out of. These copycat Reese's Peanut Butter Cup Easter Eggs are sure to be a hit. Who can deny that classic peanut butter and chocolate combination? I know I can't! Ice cream cone desserts are always fun, but these 5-ingredient bunny cones are super awesome. The kids will be excited to find a secret surprise at the bottom of the cones. 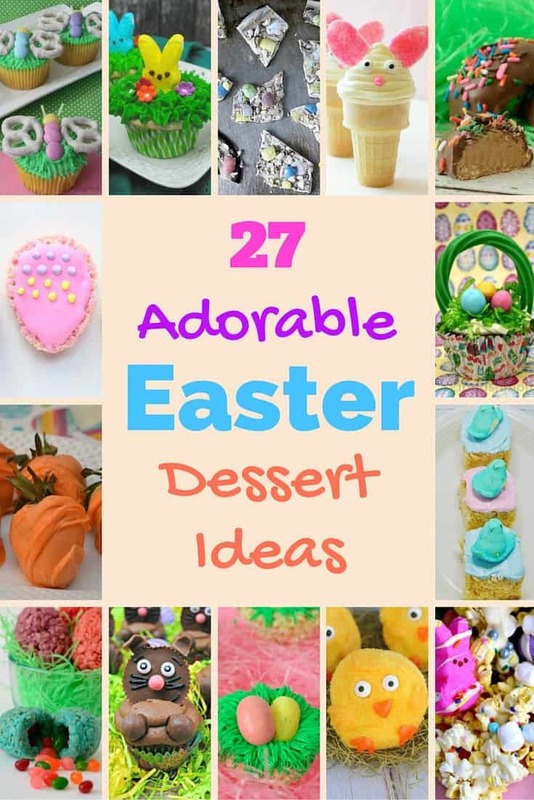 I hope that you will love these easy and adorable Easter desserts as much as I do. Enjoy and have a very happy Easter! First Published: March 21, 2016. I love doing Easter eggs! The wilder the better. I really loved doing marbelized dyes this year. Lots of great ideas. So many different ways to celebrate spring! Hmmmmm!!! Yummy yummy yum yum…. I love desserts!!! Takes for the list above! Nice ideas! Definitely going to try some of these next year! My father in law loves chocolate peanut butter eggs. I’ll have to make these for him. Wow! 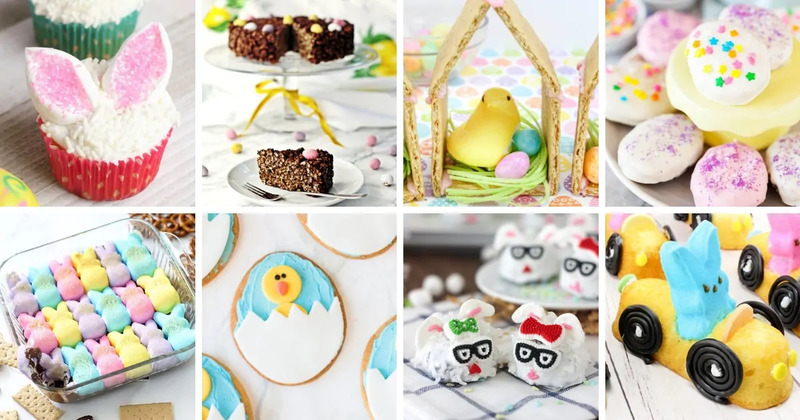 What an incredible collection of beautiful Easter desserts! This is now my go-to resource for adorable Easter ideas!